Efficient production despite a great diversity of products: Our module “Line Balancing” holds the key to this. Get a totally transparent look at your assembly processes and further, concrete proposals for the reduction of time spread and the avoidance of overload situations. 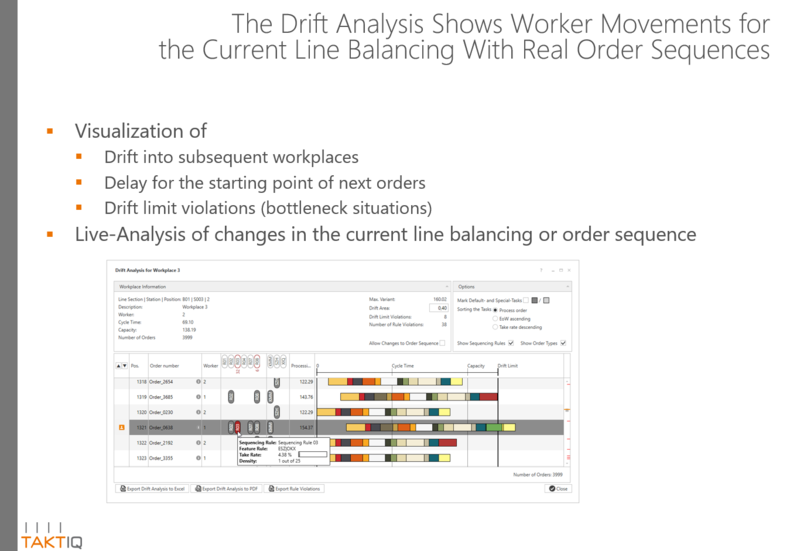 The software supports you in a wide range of activities: from manual line balancing, to fully automatic line balancing that generates different scenarios within only a few seconds. 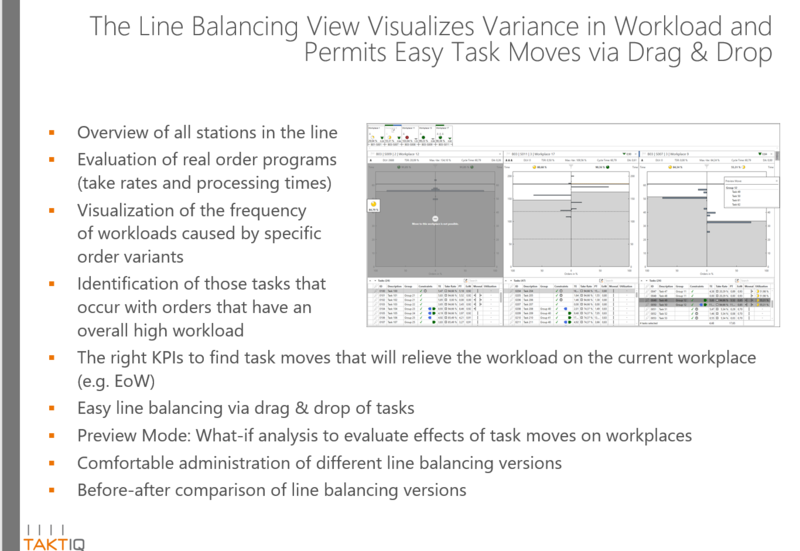 These features make it possible to implement improvements in an ongoing production and to create clearly more efficient line balancing workshops. The communication between planning and production takes place on a reliable and transparent basis on which it is simplified to take qualified decisions. 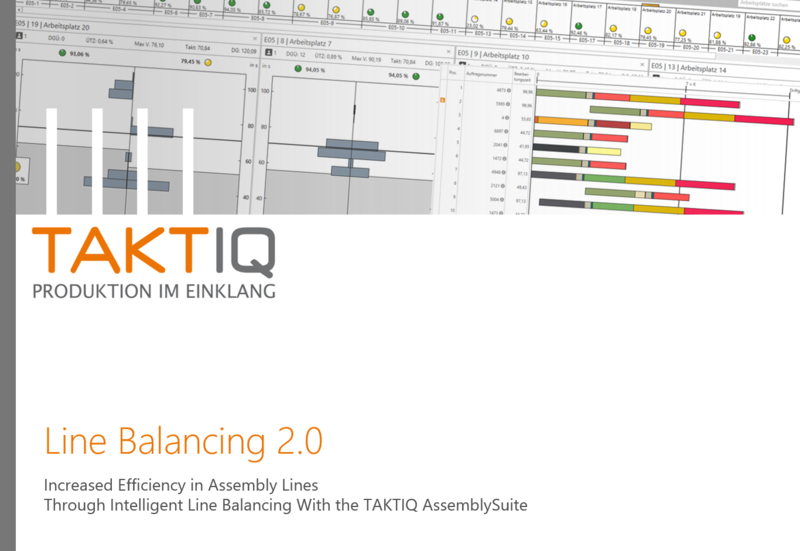 Balance your production with the AssemblySuite in a semi- or fully automatic way. Line Balancing of your production will be based on documented constraints on the particular structure of your products, the conditions of your production and the actual assembly processes. 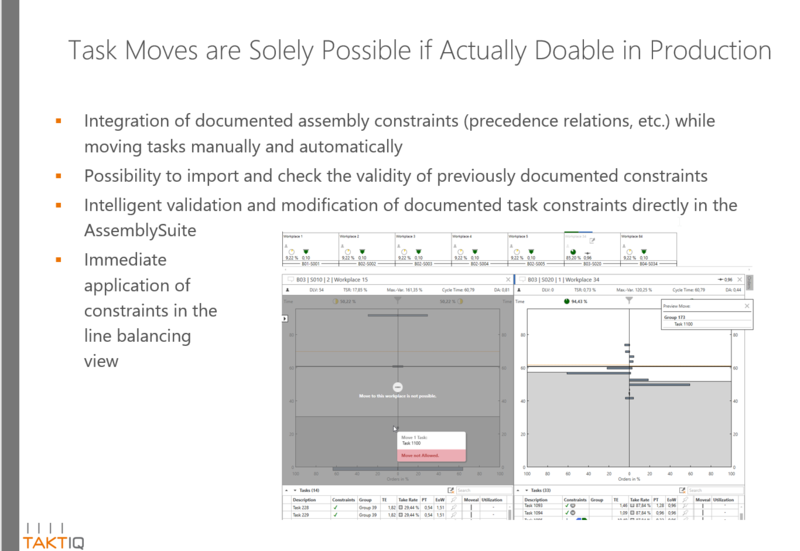 The module “Line Balancing Constraints” is a unique tool for the efficient documentation and grooming of process knowledge, for making this knowledge usable for IT-supported production planning.